Temperatures should stay around -8 ° C for the next few days; nice for a day on the slopes, but cold enough to resume a stronger snow production and deliver new runs. That said we plan to offer more than 42 trails during the weekend, including some runs from the Edge side as of Sunday. Meanwhile, the Soleil side and it’s constantly sunny position requires temperatures of -18 ° C or colder for snowmaking to be effective. We have implemented a strategic plan in order to accelerate the opening of this side and as soon as snowfall picks up, we will open trails with natural snow. 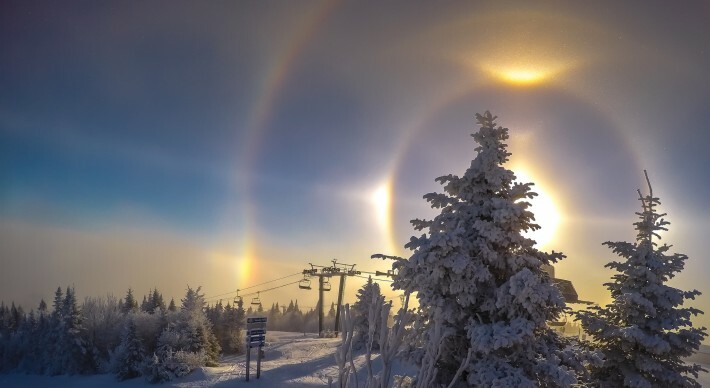 Tremblant has been host to several atmospheric phenomena recently. As the lake is not yet frozen, we’ve been seeing thermal inversions; a phenomenon that causes the top of the mountain to be above the clouds. We were also treated to a natural light show! Caused by light striking ice crystals in the atmosphere, two replica images of the sun appear horizontally both sides thereof. They are called Sun Dogs. With moisture and the risk of high precipitation, keep your eyes open for other occurrences! Taking place on Saturday, we’ve got the LTD Rail Jam, presented by Adrenaline shop. This friendly competition invites skiers and snowboarders to showcase their freestyle skills. For more info, visit the website. This weekend also marks the beginning of the holiday season. 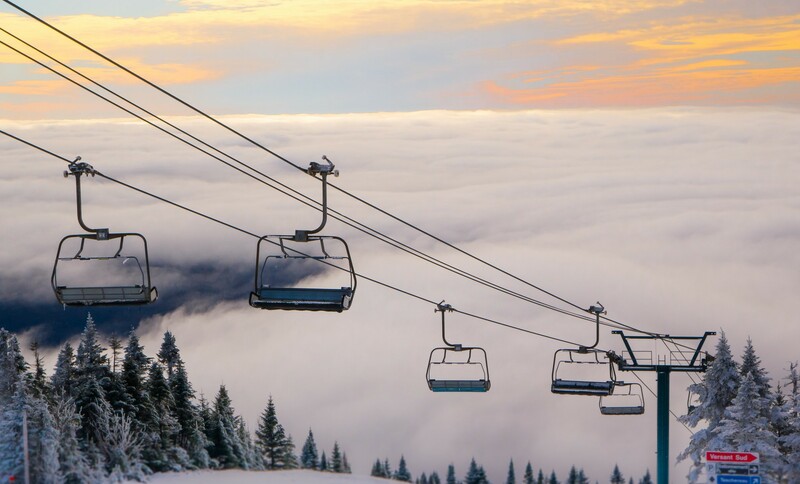 Locals and regulars will surely tell you, this is a magical time in Tremblant, filled with activities! From meetings with Toufou and our Santa Claus Parade to a snow show and an open-air dance party, there’s something for every member of your family! Skating, sliding, fireworks … do not miss anything with the schedule of activities from December 19 to January 4, 2015 (PDF).